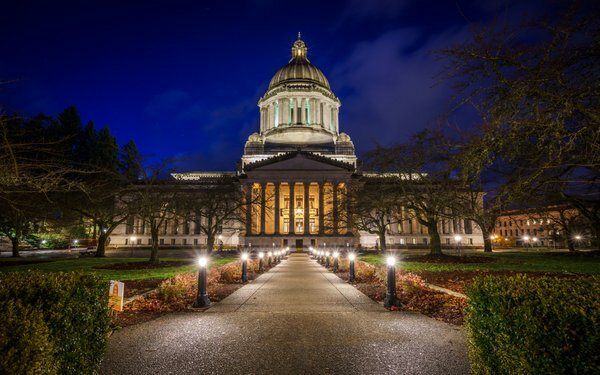 Lawmakers in Washington state are considering passing a privacy law that includes some similar provisions similar to the one passed last year in California. “It is essential that our state -- as home to some of the leading technology companies in the world -- ensure we are a thought leader in designing and developing a responsible regulatory framework around how personal data is generated, collected, stored and sold in the marketplace and by government,” Carlyle said in a statement. The law would also prohibit government agencies from using the technology in public spaces without a court order, unless there's an emergency. The proposed measure would be enforced by the state attorney general, and wouldn't take effect until the end of 2020.